OS Grid Reference: TQ 31452 82134. On Farringdon Lane in Clerkenwell, London EC1, there is an interesting old well. It may have originally been a “holy well” but was probably more a “sacred well” where, in the distant past miracle plays were performed by the parish clerks (clerics), and further back into history it was perhaps associated with St Mary’s nunnery, a 12th century house of Benedictine nuns and, later of Franciscan nuns, which stood beside the well; the sisters making good use of the water. Adjoining the nunnery was St John’s Priory, the headquarters of the medieval Knights Hospitallers. Clerkenwell, a north London suburb that is now part of Islington, gets its name from ‘this’ ancient water source. The well has sometimes been called ‘Clark’s Well’ though usually ‘Clerks’. It was re-discovered back in 1924 after having been lost for some time. A pump at the corner of Ray Street used to be connected to the Clerk’s Well, a chalybeate spring first recorded way back in 1174. Its stone-built circular well chamber is located down some steps in the basement of no. 16 Well Court, a modern office block in Farringdon Lane – between Ray Street and Vine Street – east of the A201 at the north side of the city. Robert Charles Hope (1893 & 2012), said of Clark’s or Clerk’s Well that: “Stow, speaking of the wells near London, says that on the north side thereof is a well called Clark’s Well; and in assigning the reason for this appellation, he furnishes us with a curious fact relating to the parish clerks of London. His words are these: “‘Clark’s Well took its name from the parish clerks in London, who of old times were accustomed there yearly to assemble and to play some large history of Holy Scripture.”‘—Brand, Pop. Ant., ii 370, 371. There are several other wells and springs in and around London, some having been built over by modern buildings and roads, while others have been lost to time. These include: Bride’s Well (Fleet Street), Black Mary Well (Church End), Black Well (Blackwall), Camber Well (Camberwell), Caesar’s Well (Wimbledon), Fagg’s Well, Moss Well (Muswell Hill), Rad Well, Sadler’s Well (Islington)), Shepherd Well (Hampstead), Skinner’s Well (Finsbury), St Clement’s Well (Strand), St Chad’s Well (Shadwell), St Eloy’s Well (Tottenham), St Govor’s Well (Kensington), St John’s Well (Shoreditch) and St Pancras’ Well, and no doubt others that are now no longer in existence, or difficult to find and locate, with only the name to remind us. Please note:- The well is in the basement of a private office building. Anyone wishing to look at the well close-up should contact The Islington Local History Centre. 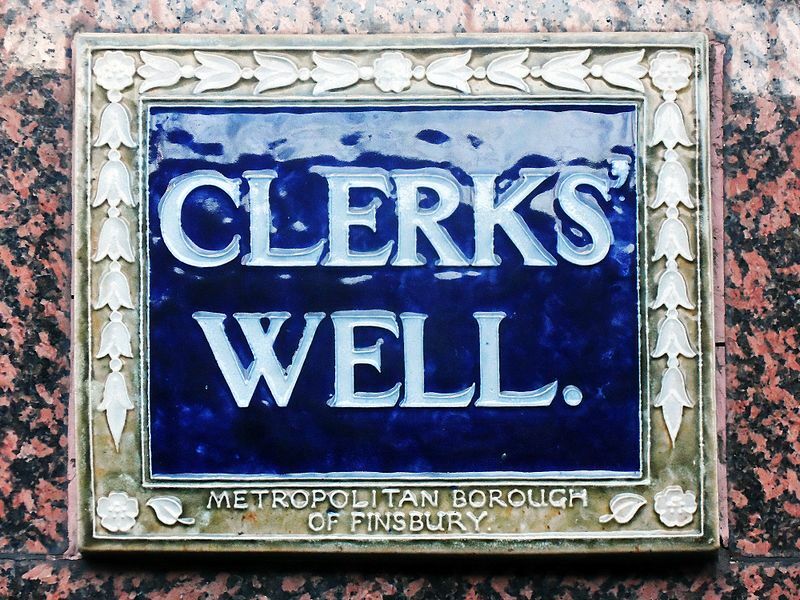 There is a blue plaque saying: “Clerks’ Well” and an information board – inside the window of no. 16 Farringdon Lane. Bottomley, Frank, The Abbey Explorers Guide, Kaye & Ward Ltd., Kingswood, Tadworth, Surrey, 1981. Hope, Robert Charles, The Legendary Lore of the Holy Wells of England, (Classic Reprint Series), Forgotten Books, 2012. [Originally published 1893]. Mee, Arthur, The King’s England — London — Heart of the Empire and Wonder of the World, Hodder & Stoughton Limited, London, 1949. Categories: Sacred Well | Tags: Clerk's Well on Farringdon Lane in Clerkenwell north London | Permalink. 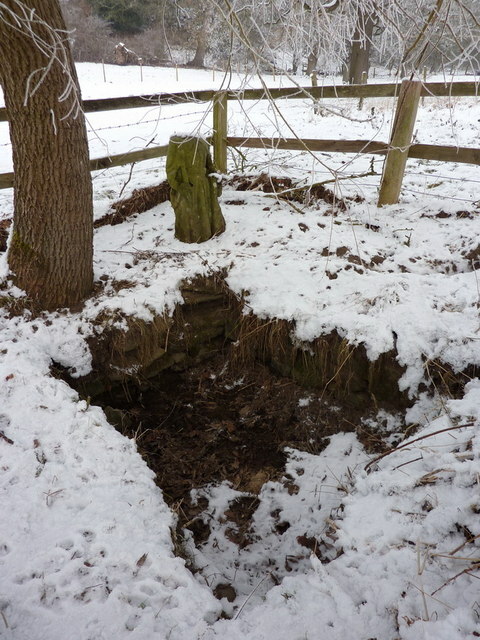 Waugh’s Well (photo by P Smith). (Wikipedia). OS Grid Reference: SD 8287 1957. On windswept Scout Moor between Edenfield and Cowpe in the Rossendale Valley, Lancashire, stands the Victorian memorial known as Waugh’s Well, named after the famous Rochdale-born dialect poet Edwin Waugh (1817-1890), who was the son of a shoemaker. The poet often came to stay at a farm on the moors and, very often would visit and sit beside a spring of water, at Foe Edge. In 1866 a wellhead with a carved stone-head of the poet and a gritstone wall at either side, was built to honour the man who would come to be known as the Lancashire Poet Laureate and also Lancashire’s very own “Burns”. Following his death at New Brighton the well became a place of pilgrimage for devotees of the poet, but it was here on the moor at Foe Edge that Waugh composed some of his famous dialect poems, all having a strong Lancashire feel about them. 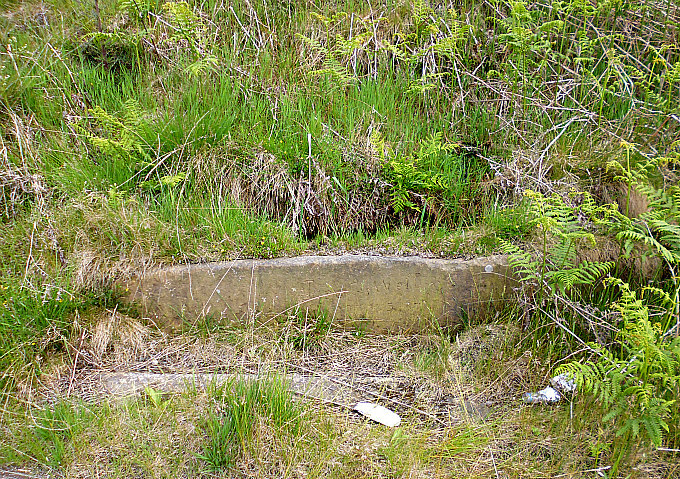 The well lies about ¼ of a mile to the east of Scout Moor High Level Reservoir on the Rossendale Way footpath. The site is probably best reached from the A680 road and the footpath going past Edenfield Cricket Club, and then eastwards onto the moor itself for a few miles towards Cowpe. 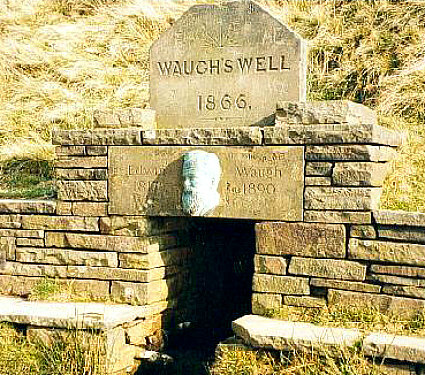 Nick Howorth writing in a magazine article (1996) says of Waugh’s Well that: “The well, originally a spring, was converted into a memorial to Waugh in 1866. This was an extraordinary tribute to a man who was not only still in mid-career at the time, but who had only been famous as a writer of Lancashire dialect songs and poems for 10 years. His fame grew to the extent that by the time he died in 1890 he was variously called “”The Laureate of Lancashire”” or “”The Burns of Lanca-shire””, although he never achieved an international reputation. The well was rebuilt in 1966 and shows a bronze figurehead of Waugh with his dates, 1817-1890. 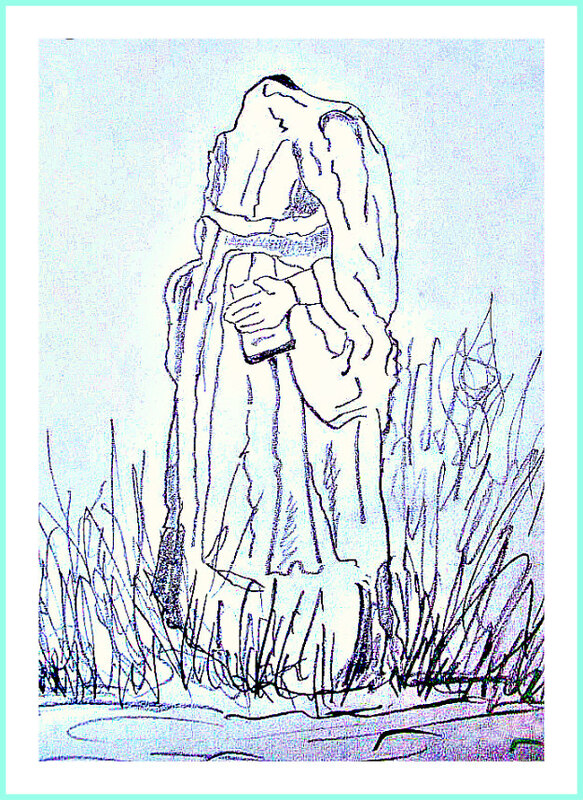 His connection with the spring on Scout Moor was that he often stayed with friends living at Fo Edge Farm near the well, finding the solitude good for composing songs and poems. Howorth goes on to say that: “His early career was a struggle against poverty. He was apprenticed to a Rochdale printer, Thomas Holden, when aged 14. This gave him opportunities to read widely although he was often ‘ticked off’ for reading during the shop hours. He also met local literary figures and politicians. Waugh held strong Liberal views but his boss was a Tory; they did not get on well. Between the ages of 20 and 30, Waugh worked in London and the south of England as a printer, but in 1844 he returned to Rochdale to work at Holden’s. They fell out over politics and Waugh left in 1847. In that year he abruptly married Mary Ann Hill, but although he loved her deeply, their natures were so far apart that the marriage was a disaster. “For the next five years Waugh worked for the Lancashire Public School Association whose aim was to make a good quality primary education available to poor children. Waugh worked in Manchester, which he hated, but he met many of the city’s literary and intellectual leaders and talked literature, education and politics with other struggling writers. He was beginning to get articles and poems published in Manchester. He worked partime as a journeyman printer, earning money by printing copies of “Tim Bobbin” (John Collier’s masterpiece of 1746). 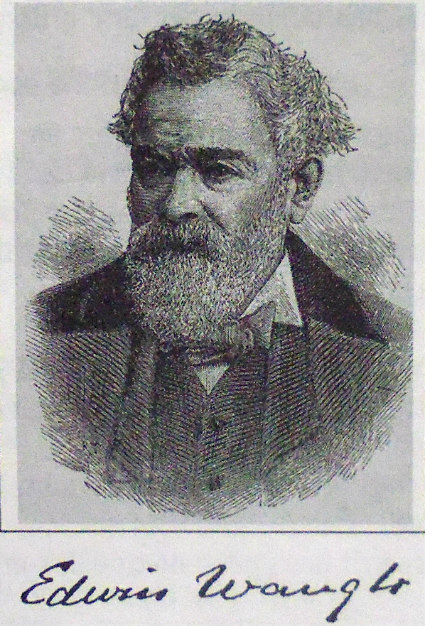 In 1855 he borrowed £120 and published his first volume of essays, “”Sketches of Lancashire Life and Localities””. Then in June 1856 came the big breakthrough when “”Come Whoam to thi Childer an’ Me,”” was published in the Manchester Examiner, bringing him national prominence. The poem was republished as a penny card, earning him £5 for 5,000 cards. “Apart from courtship and family life, his great love was nature. Many of his essays described excursions far beyond the Lancashire moors, such as Scotland and Ireland. Essays were often published as pamphlets selling for 6d or 1s, eg ‘Over Sands to the Lakes’, ‘Seaside Lakes and Mountains of Cumberland’, ‘Norbreck: A Sketch of the Lancashire Coast’ cost 1d. Nick Howorth (1996) also adds that: “Another important Waugh activity for many years was giving public readings of his works, rather like his contemporary, Charles Dickens. Although these did not pay very well, they kept his name in the public eye. His big, open, friendly face and soft Lancashire accent made him a popular performer. He did not dress up for these public performances, was always an unkempt figure with big boots, thick tweeds and a heavy walking stick. This emphasized his humble origins to his audiences. In 1869, he read in public almost fortnightly in town halls all over the midlands and the north. Waugh was an important figure in Lancashire’s literary history because he popularized dialect poetry and made it a valid part of English literature. Before Waugh, Lancashire dialect was difficult to follow, because it contained so many obscure words and spellings. Tim Bobbin, dating from 1746, is the best example of the “”old dialect”’. Readers have to refer con-stantly to the author’s glossary. Waugh simplified and standardized how Lancashire dialect should be written down, and it has hardly changed since then. 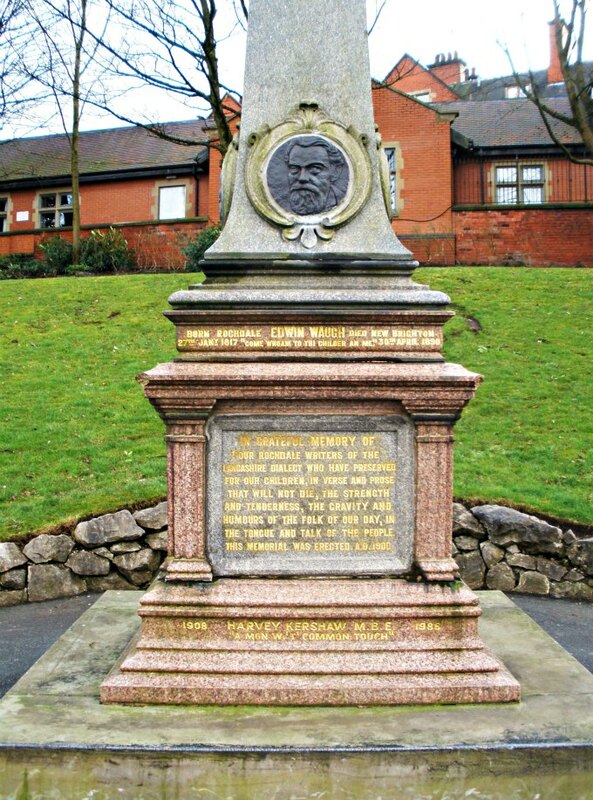 At the western edge of Broadfield Park, Rochdale, overlooking the Esplanade there is a very fine four-sided monument commemorating Edwin Waugh and three other local poets. This monument is called ‘The Lancashire Dialect Writers Memorial’. It was designed by Edward Sykes and erected on the land above the Esplanade in 1900. The pedestal is made of red granite and is topped by an obelisk. The four local poets are: Edwin Waugh (d. 1890), Oliver Ormerod (d. 1879), Margaret Lahee (d. 1895) and John Clegg (d. 1895). This fine memorial is inscribed with various poems and information regarding each writer, with their carved heads. A bit further along the path is a statue of John Bright (1811-1889 the Liberal MP for Manchester. Bright was a reformer and campaigner for the repeal of The Corn Laws (1839). In St Chad’s churchyard, Sparrow Hill, is the grave of Tim Bobbin alias John Collier (1708-1786), the satirical dialect poet who frequented the inns of Rochdale. His grave, with its now worn epitaph, is behind iron railings; but ‘the’ grave has become a place of pilgrimage for devotees of his life and works. Nick Howorth, ‘Edwin Waugh – a man of ink, and his well’, Really Lancashire – A Magazine for the Red Rose County, Landy Publishing, Staining, Blackpool, Issue No. 2, August 1996. Categories: Place of Pilgrimage, Sacred Well | Tags: Waugh's Well on Scout Moor Near Edenfield in Lancashire | Permalink. OS Grid Referance: HY 2477 0931. Beside the country lane about ½ a mile to the northwest of Strom-ness, Orkney, and in the valley a short distance to the southwest of Brinkies Brae Hill, can be found the now almost forgotten Mineral Well, which was actually a chalybeate well that had long been used by the good people of Stromness who had a need for its medicinal properties for their ailments; indeed so much so in past times that it was seen as the local “spa”. The well was locally called Haley Hole Well; it was regarded as sacred but probably never a holy well as such. 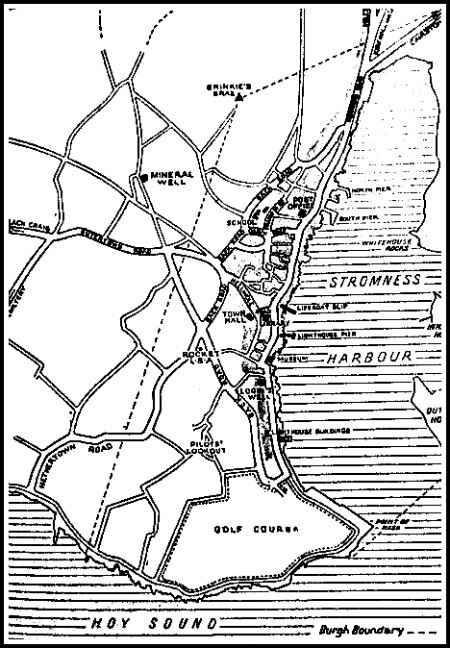 The well is best reached from the south-side of the town of Stromness and, by travelling southwest then northwest along Guardhouse Park, Back Road, Croval Road and Brownstown Road for ½ a mile. Where the lane becomes narrower, and just after the turning called Grieveship Way, the little stone wellhouse can be seen on the right-hand side of the lane where there are open fields and excellent views northeast towards Brinkies Brae Hill and the Ordnance Survey trig column. The ‘Stromness Community Garden’ website gives us some interesting information regarding the Mineral Well. It says: “As the ‘Haley Hole’ (hence the present road name ‘Hellihole Road’ leading from the town) it was visited by pilgrims from all over Orkney, who regarded it as a miracle well. The water was famed as a cure for scurvy and similar disorders. The name is undoubtedly from heilagr – Old Norse for holy – so it’s probably been considered sacred for some time. The website goes on to say: “Then, in the middle of the 19th century, it was advertised as “‘The Mineral Well’ and had a well house built over it to protect it from birds and animals. The stone built house had a wooden door and a ladle so visitors could drink their fill. By now the water was regarded as a more general tonic which visitors and townsfolk drank frequently. Gunn, J., Orkney – The Magnetic North, Thomas Nelson And Sons, Ltd., London, 1941. Categories: Sacred Well | Tags: The Mineral Well near Brinkies Brae at Stromness in Orkney | Permalink. Jacob’s Well beside the A58 near Littleborough. OS Grid Reference: SD 96381 17068. At the side of the A58 (Halifax Road) close to Blackstone Edge Roman road, near Littleborough, and not far from the Lancashire-Yorkshire border is the now almost forgotten ‘Jacob’s Well’, a sacred spring that is hidden in the grass and fearns at the side of the busy, windswept moorland road that links the two counties. Some 280 metres east of the well is the so-called Roman road that climbs over Blackstone Edge and then heads to the fort at Ilkley. Presumably the Roman soldiers who marched along this Roman road knew of the presence of this ancient spring, which they may have even dedicated to one of their gods and, before that, the Celts would have also recognized it as a sacred spring. In more recent times it has acquired the dedication to Jacob, who might be the biblical prophet of the Old Testament, and is sometimes called St Jacob by Orthodox Churches. The well is to be found about halfway up the A58 road (right-hand side) and just 100m past where a wooden gate and footpath leads off to the east to meet up with the Roman road. At the top of the A58 road, on the opposite side, is the well-known landmark White House public house. At the front of the well there is a very long sandstone slab that has the inscription ‘Jacob’s Well’ carved onto it and some other letters just below that, but its difficult to tell what this says. It looks as though the inscription was carved in more recent times. The water is held in what looks to be a large and deep stone trough just behind the carved slab, but there is much foliage surrounding the well and so it is difficult to give any measurements. 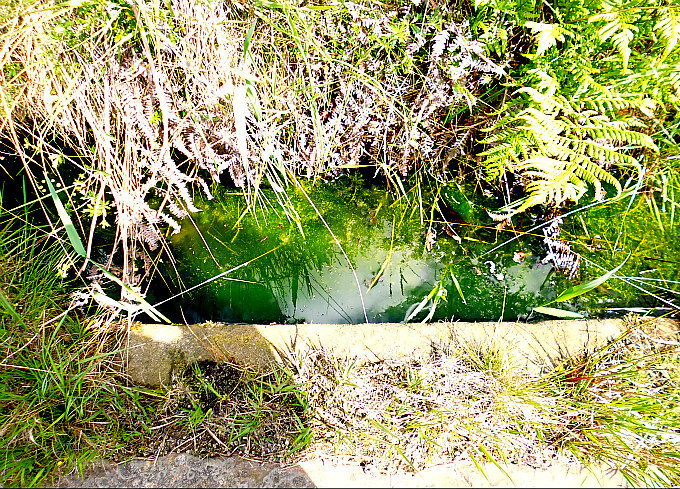 On the day of my visit the water was slimy green in colour and most certainly “not” drinkable. There doesn’t appear to be any record of this well, whether it be holy or sacred, is not really known and the dedication to Jacob is uncertain. It could perhaps be named after the Biblical Jacob (Yacob) who was the Hebrew prophet and patriarch of the Old Testament. He is venerated as St Jacob by the Orthodox Churches. There are other wells named after Jacob, one at Bradford, west Yorkshire, and another at Matlock Bath, Derbyshire, but there are a few others in England. The name “Jacob” is also “James”, so these wells could be dedicated to a person with that name, perhaps even St James? According to tradition Jacob lived in the land called Canaan in Palestine, but died at Goshen in Egypt at a very great age. He was the son of Isaac and Rebecca, grandson of Abraham, twin brother of Esau, and nephew of Ishmael. He had twelve sons and one daughter, called Dinah. This therefore makes his sons (and maybe a grandson) the progenitors of ‘The Twelve Tribes of Israel’. The Bible tells us that God gave Jacob the name “Israel.” It is said [traditionally] that Jacob died in 1,711 BC at the great age of 147, his body brought back to Canaan by his sons or grandsons, and buried in the Cave of Machpelahphet where the Prophet Abraham lay, and also Rebecca, his mother, and Leah, his first wife; his second wife was Rachel. The famous ‘Jacob’s Ladder’ story is often told recalling a dream that he had about a ladder which reached from earth to heaven. Tell Balata 1½ miles southeast of Nablus, Palestine, is the site of the ancient Canaanite city of Shechem (Sichem) and Jacob’s Fountain (Bir Ya’qub). This is perhaps the well where Jesus spoke to a Samaritan women called Photini and drank water to quench his thirst (John’s Gospel). Aid to Bible Understanding, Watchtower Bible And Tract Society of New York, Inc & International Bible Students Association, Brooklyn, New York, U.S.A., 1971. Categories: Sacred Well | Tags: Jacob's Well near Littleborough on the Lancashire-Yorkshire border | Permalink.